Tuesday’s Game of the Week is here yet again! 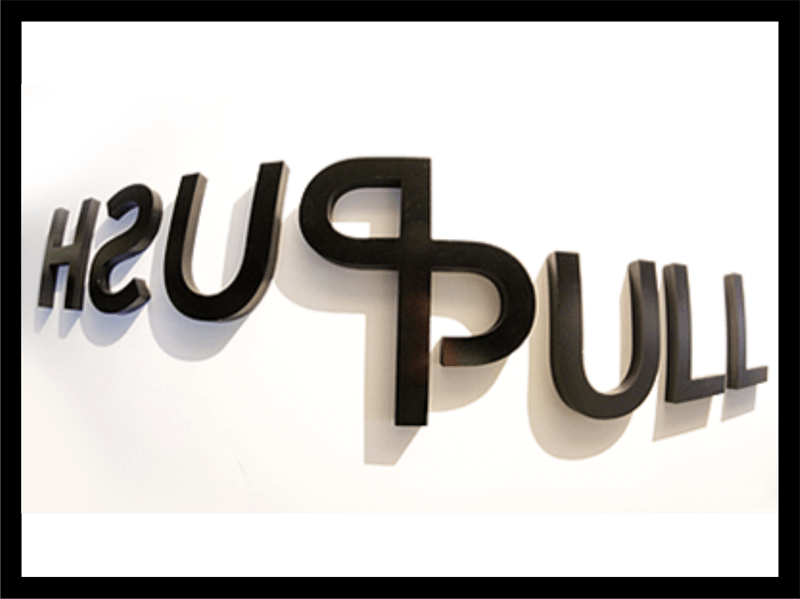 Today we present to you, PUSH & PULL. Depending on the amount of time you have and size of your group, you can do this a number of ways, but the basic premise requires you to flip your empty garbage can upside down (preferably round) in the middle of the room. At that point, you will place the dodge ball on top of it and arrange the participants in a circle around it. The goal of the game is to be the only one to not knock the ball off the garbage can. Of course, this won’t be easy, because you are now going to have them link hands. Their goal is to push and pull the other people in the group so that they run into the garbage can and knock the ball off. If the ball falls off, the person(s) who forced the ball off are out. Then everyone rejoins hands and goes for another round until you are down to two. 1. Remind them that they need to be around the can, they shouldn’t be constantly running by the can (though they can jump over it, and that is awesome to watch! ), otherwise the game can go on too long. 2. If you have a really large group, you can limit the game to 25 people or you can make multiple teams and then join them at the end. Keep in mind that this will increase your game time.